Designed having in count the W3C standards and different browser implementations, provides a safe compression with the default settings. Compress the client side part of your PHP scripts while preserving the server side code intact, to generate pre-optimized output from your applications. Logos and trademarks are property of their respective owners. Based on client host names using our service. Simply copy and paste your code, or drag a file from your computer to get the compressed version. Want to fine tune the compression? 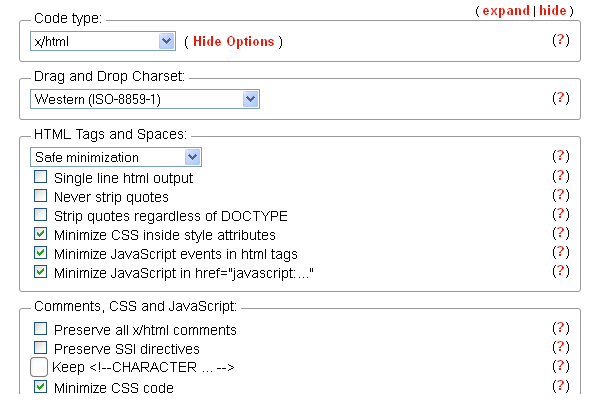 There are lots of inline documented options available! 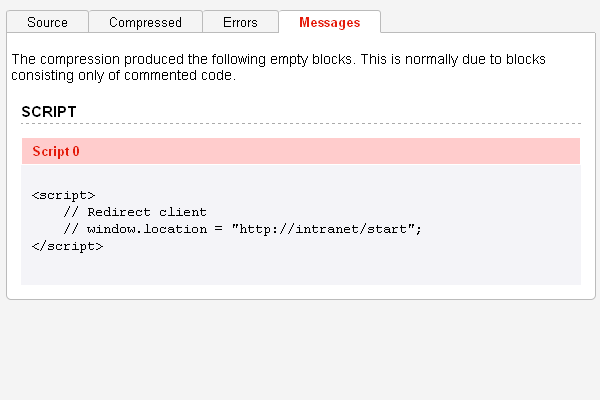 Quickly spot any problems with your code thanks to the detailed error and warning messages, allowing you to spot problems before using your code in production. Access our online tool via SSL encrypted connection. The compressed files are hashed and locked to your IP address to prevent casual downloads, and are automatically deleted every hour. 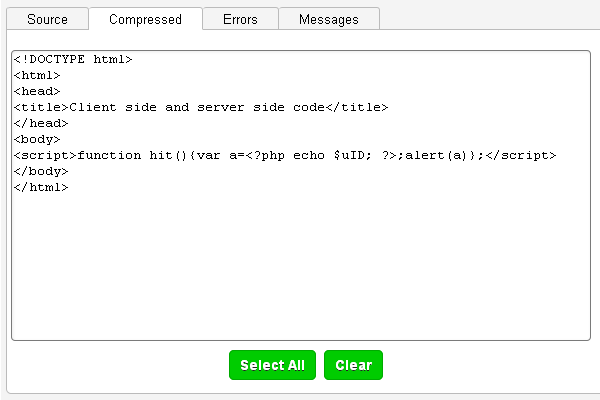 Use htmlcompressor specific control commands that are executed client-side and allow to strip code blocks automatically, and perform search & replace before and after compression. Useful to remove debug variables or functions not needed for production, or simply alter variable contents. © 2016 HTMLCompressor.com - All rights reserved.